Gather your thoughts, ideas, plans and research in one single place with OneNote in Microsoft Dynamics 365. 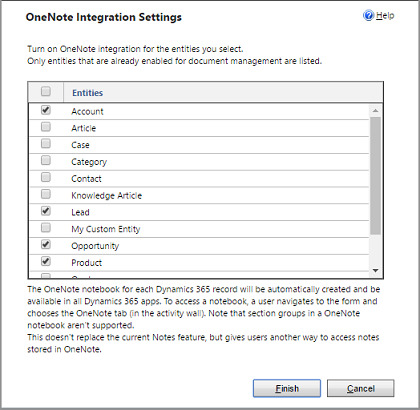 When you turn on Microsoft OneNote integration in Microsoft Dynamics 365 (online), you have the benefits of using OneNote to take or review customer notes from within your Dynamics 365 records. 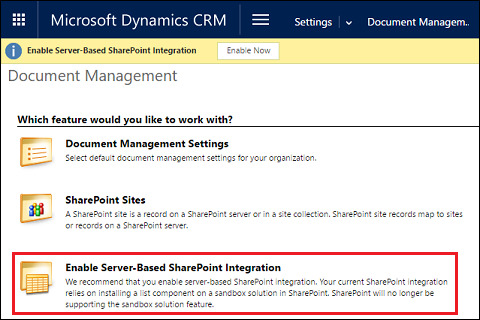 You can configure OneNote in Dynamics 365 (online) when you’re also using SharePoint Online. You must have a subscription to Office 365 to use OneNote in Dynamics 365 (online). Follow the instructions in the wizard to turn on OneNote integration for selected entities. Choose entities that need a full notebook per record. Only entities that are already enabled for document management are listed. Choose Finish. A OneNote notebook is automatically created for a record the first time you select the OneNote tab in the activities area in Microsoft Dynamics 365 (online). 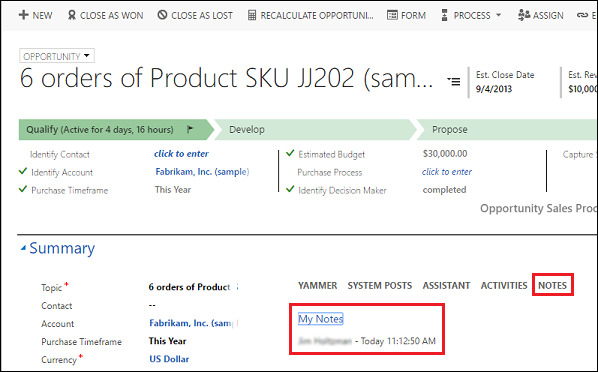 Once the dedicated OneNote notebook is created for that Dynamics 365 record, you can view and navigate to that notebook from any Dynamics 365 client. In the OneNote Integration Setting dialog box, uncheck all the entities and then choose Finish.